When applying for a new role or planning your next career move, we can all use extra application help. 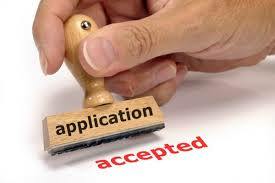 The following article aims to help you fill in general application forms and provide you with application help. After all, application forms of any sort can be extremely tricky. They are usually tailored to find out the exact information that an employer is after from a candidate. From the candidate’s point of view, questions of this nature demand a lot more time and thought to answer. When answering questions on any application form, It is important to think about the skills that the questions after and then craft your answer accordingly. Below, we’ve provided some application help in the form of model questions and answers that are common on many application forms. While you should not copy these answers word for word, they offer application help and can be used to help you form your own answers. Be sure to work in your own skills and experience to truly make a unique answer that is applicable to you. Why do you want to work at x? Here you should aim to insert information about the company. Hopefully prior to filling in your application form, whether it’s for a company or for starting a Police career you know exactly why you want to work there. You should list some positive things such as the company’s charity contributions or their long-standing history of excellence in a particular field, by doing this you are demonstrating that you’ve bothered to learn about the company and the role that you’re applying for. So your answer could be something like, ‘I want to work for X because of their long-standing history of being the industry leaders in business management”, or if applying for a role such as joining the Police, you may want to say “I’m applying for this particular Police Force because of its excellent reputation for doing XYZ”. Why have you chosen to apply for this particular job? For this type of question you want to say that you’re applying for the job as it suited to your skills and personal qualities. Take this opportunity to show how you’re a great match for the job and how that in itself makes you want to apply for it. You should also cover things such as what attracted you to this position, as well as how are your personality and miss you suitable for the role. In order to answer this question effectively you should first determine what skills and qualities are exactly relevant to the role. You can often find this information on the company’s website that you’re applying to, as well as in the job specification supplied with the job advert. When actually answering the question do not simply list your skills and qualities instead talk about working examples from your past experiences that demonstrate the qualities that employers looking for. We have provided a little application help here by helping to answers these three general questions that often crop up on application forms. Another good tip for these types of questions is to just include information that not only makes you suitable for the role but information that demonstrates that the role is suitable for you and complements your existing skill set. For tips on how to fill in more general CVs check out, the best way to write a CV.